Rite Aid Corporation (NYSE:RAD) surged in pre-market trading Wednesday after the company announced its pending acquisition by privately-held Albertson’s LLC. As trading opened, and the financials of the deal sank in, a lot of the excitement for the sale wore off, however. Because Albertson’s is private , Rite Aid stock remains the only current avenue with which to profit from this deal. Unfortunately for RAD shareholders, the terms of the agreement likely leave owners of Rite Aid holding the short straw. Rite Aid remained in limbo afterthe Department of Justice (DOJ) blocked the deal for Walgreens Boots Alliance Inc (NASDAQ:WBA) to purchase the entire company. Walgreens later acquired 1,932 of Rite Aid’s stores located in the Southeastern U.S. And the remainder of the company was left in a weak competitive position. Albertson’s is currently owned by Cerberus Capital Management, LLC. The grocery chain had been planning an Initial Public Offering (IPO) last year. But when Amazon.com, Inc. (NASDAQ:AMZN) announced its purchase of Whole Foods Market, Albertson’s put the IPO on hold. With the purchase of Rite Aid, the company is now moving forward with the IPO. The deal will form a $24 billion company with 4,900 stores, including 4,350 pharmacy locations in 38 states branded under the Rite Aid name. The companies did not disclose the value of the deal, so some details remain fuzzy. For ten shares of Rite Aid stock, stockholders can choose to receive one share of Albertson’s plus $1.83 in cash or slightly more than one share of Albertson’s. Rite Aid’s shareholders will own between 28% and 29.6% of the combined company. 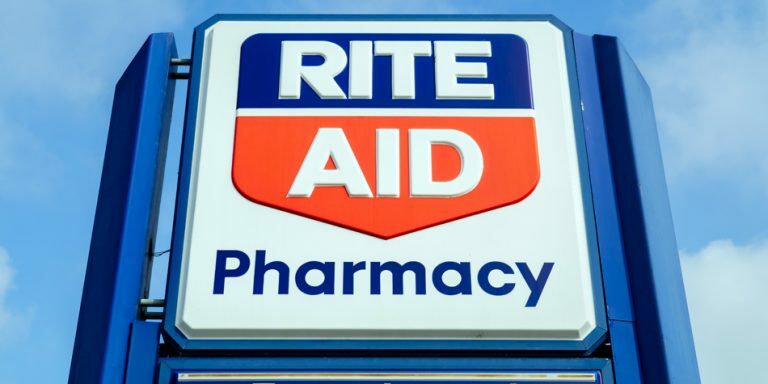 According to Evercore ISI analyst Ross Muken, the deal values Rite Aid at between $1.30 and $2.65 per share. Not all are happy with the deal. Shareholder rights firm Johnson Fistel, LLP launched an investigation into the actions of Rite Aid’s board. It wants to investigate whether the board breached its fiduciary duty with regards to the sale. Johnson Fistel appears to have a strong case. If RAD shareholders are receiving at least 28% of a $24 billion company, that amounts to about $6.72 billion. Rite Aid also holds an enterprise value of around $5.08 billion. The estimated stock price does not add up. Even if RAD shareholders got the estimated $2.65 per share, that places the market cap at a little over $2.75 billion. Euphoria regarding the deal wore off quickly. After trading as high as $2.80 per share in premarket, the RAD stock price opened at $2.29 per share. By market close, RAD had fallen to 2.20, up just over 3% compared to Friday’s close. To be sure, RAD needed a deal of some kind. Massive debt levels made the sale of stores to Walgreens necessary. And this smaller Rite Aid still faced difficult challenges. With competition from the likes of Walgreens and CVS Health Corp (NYSE:CVS), grocers such as Walmart Inc (NYSE:WMT), Costco Wholesale Corporation (NASDAQ:COST) and Kroger Co (NYSE:KR) and online competitors, company survival remained in question. However, the company finds itself selling out for half of its enterprise value (if that much). While holders of Rite Aid stock may not be left holding the bag, they are at least grasping on to the short straw. The deal with Albertson’s leaves holders of Rite Aid stock selling out for a meager price and takes away all profitable options for other investors. Optimism has already soured on this deal as the terms of the agreement sink in. With Rite Aid selling for a substantial discount from its enterprise value, hopes to profit from RAD stock have dimmed significantly. Actions by Johnson Fistel or other shareholder rights advocates could kill the deal. Still, RAD shareholders would again face the uncertainty of having to find another suitor. Either way, holders of Rite Aid stock find themselves in a lose-lose situation. Article printed from InvestorPlace Media, https://investorplace.com/2018/02/owners-rad-stock-soldout-albertsons-buyout/.